April Schentrup was among the parents of victims of the Parkland shooting who criticized the Broward public school district on Thursday. Families of the students killed during the Parkland school shooting say Broward County Public Schools needs new leadership, citing the school district's "incompetence" and failed policy response to the massacre in February. Parents of the victims of Marjory Stoneman Douglas High School gathered Thursday to complain about the decisionmaking by the district's Superintendent Robert Runcie and other school board members in the wake of the shooting. They said the district's response to the massacre has lagged behind that of the Miami-Dade and Polk County school districts. The parents want Broward voters to choose new school board members with five of the board seats up for election this year. "These people do not have any sense of urgency," said Max Schachter, whose son Alex died during the shooting and who is currently a member of the state commission investigating the shooting. "It's frustrating dealing with this district. There is no accountability." The complaints come after a recent Broward school board meeting exploded into an argument over the district's delay of plans to introduce metal detectors at Marjory Stoneman Douglas High School. 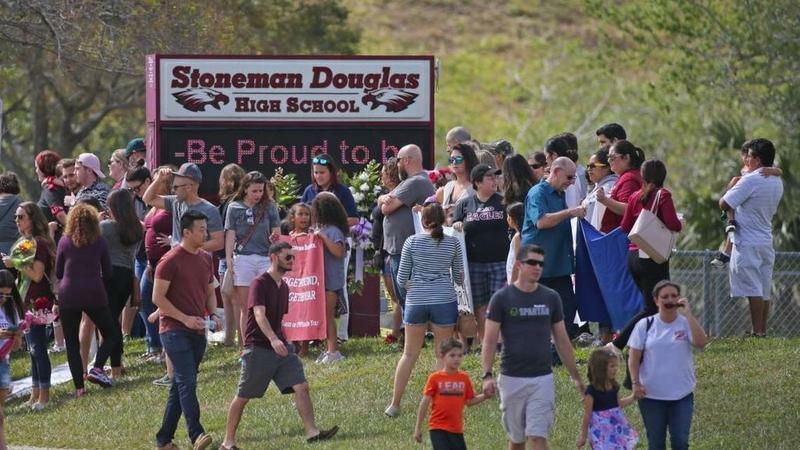 Runcie said the district still has to address possible issues with such a measure, including privacy concerns and how to screen more than 2,300 Stoneman Douglas students each day. Other school board members say they are trying to do what is best for students. Indeed, the district has announced several new school safety upgrades, including new video surveillance systems and the use of new fencing that will limit campus access. But the MSD parents said the indecision over the metal detectors is an example of the school district's dysfunction and risks the safety of students as they return to school later this month. The parents were also particularly angry about a recent comment by School Board Member Donna Korn that the 2017 school year was the best Broward County has seen. "Being an employee of the school district and a mother who has endured such tragedy, it was difficult to hear those words," said a tearful April Schentrup, whose daughter, Carmen, was killed during the shooting. 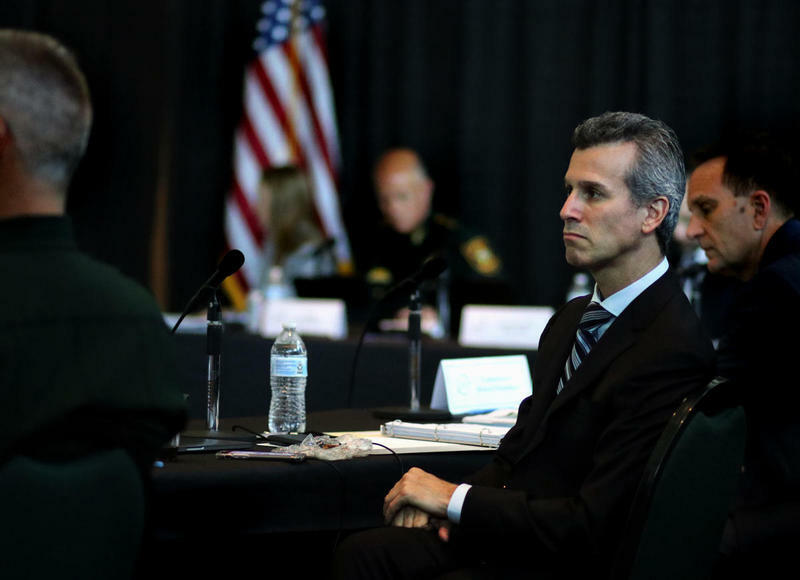 The complaints about the school district came as the Marjory Stoneman Douglas Public Safety Commission continued its second of two-day meetings this month. 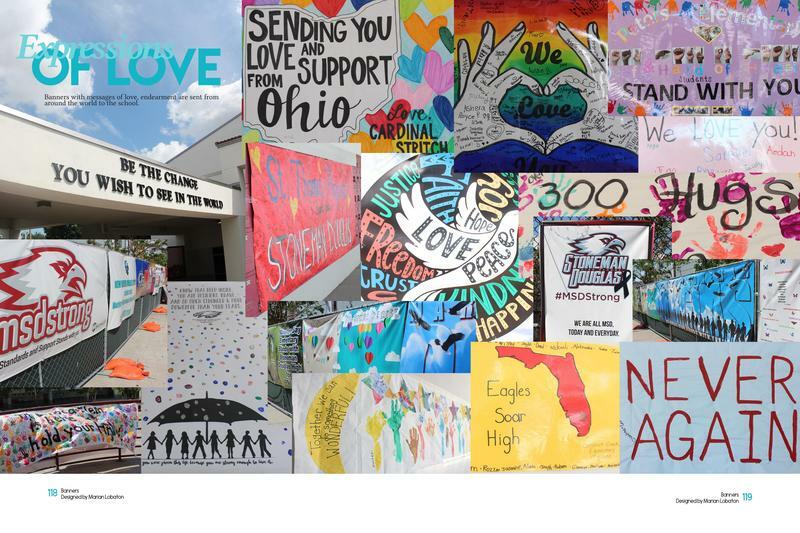 The state board compared the Parkland massacre to other school shootings across the country and also discussed the Stoneman Douglas shooter's experience with mental health services. During a review of other recent school shootings in the U.S., the panel learned that teachers, administrators, and other staff are most likely to stop shooters. Bob Gualtieri, Pinellas County Sheriff and the commission chair, said the findings underscore that shootings can occur in seconds and police officers usually can't respond in time. Hear more about the Marjory Stoneman Douglas Public Safety Commission meeting on Thursday. Gualtieri and Polk County Sheriff Grady Judd—another member of the commission—said more school staff should have the necessary training and resources to engage and defend against shooters. "Is it a great idea to arm all school personnel? Not in the perfect world. But we don't live in that perfect world," Gualtieri said. "Somebody needs to make some of these hard decisions." Arming teachers and school staff has been a controversial suggestion in wake of the February shooting. President Donald Trump and legislators across the country have said allowing teachers to carry guns on campuses could stop shootings. Indeed, the Marjory Stoneman Douglas Public Safety Act signed into law by Florida Gov. Rick Scott says public school staff members, including counselors and coaches, can become "marshals” and carry concealed weapons on campus. Those who oppose arming teachers say it would burden educators with responsibilities that fall outside their roles. The Marjory Stoneman Douglas High School Public Safety Commission met Wednesday with Guy Grace, the director of security and emergency planning for Littleton Public Schools, the district that's home to Columbine High School. The commission continued their investigation on the events that led up to the February 14 mass shooting, what went wrong and what can be improved. They will meet Thursday as well. 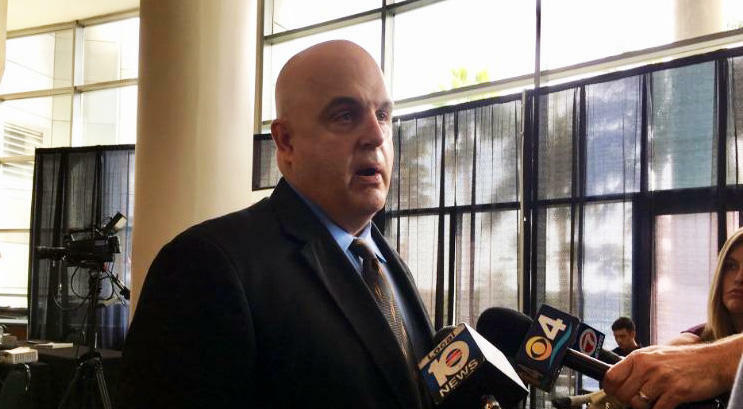 Guy Grace, a school-security official whose Colorado community was rocked by the 1999 murders at Columbine High School, shared school-hardening solutions Wednesday with a commission formed after this year’s mass shooting at Marjory Stoneman Douglas High School in Parkland.